Welcome to this uber detailed guide on how to make kefir milk. I’ve done all I can to make the process of making your first batch of milk kefir at home as painless, and successful as possible. Fermenting Kefir Milk - Sealed Jar Vs Open Jar? Kefir is a fermented milk product which originated in the Caucasus mountains of the former Soviet Union many centuries ago. It is now enjoyed by many people around the globe, particularly in Europe and Asia. The fermentation process re- moves much of the lactose sugar from the milk, making it more agreeable with people who are somewhat lactose intolerant. Kefir can be produced from any form of dairy, from cows, goats, sheep, full fat milk is the preferred option, with raw, unpasteurised milk offering the greatest bene ts in healthful enzymes and bacteria. But, even pasteurised whole fat milk provides extraordinarily healthy qualities, making it an excellent addition to any diet. It is a somewhat sour and slightly carbonated (fizzy) product due to the fermentation by the bacteria and yeasts that reside together in the symbiotic relation- ship. Kefir is one of the most potent probiotic foods available. This is a simple question to answer. Kefir has many health qualities, and has been consumed by cultures throughout the centuries, cultures who have been observed to experience vibrant health and longevity. Making kefir part of your healthy life- style can only be a positive thing, and making it is kind of fun too. Kefir milk contains many yeasts and bacteria that are beneficial to health, as well as vitamins, minerals and essential amino acids that are essential for the repair and healing processes that need to occur in the body. Vitamins like B12. B7 (Biotin, often called vitamin H or coenzyme R), Vitamin K2, calcium, folates and more. As milk kefir is a dairy product, it also contains good levels of magnesium and phosphorus. 'Vitamin K' is a vitally important nutrient, lacking in many western diets. Known as a product of bacterial fermentation processes, kefir milk is likely a good source. Milk quality matters, the milk from pasture raised and fed animals is going to be a much richer source of nutrition. The partially digested proteins (digested through the fermentation process) and easily assimilated into the body. Much of the lactose in Kefir is digested by the bacteria in the Kefir grains, making it well tolerated by many with lactose intolerances. Kefir is also suspected of having a modulating effect on the immune system, possibly reducing inflammation and allergic reaction. Milk kefir grains are magic! They consume the lactose sugars in the milk and produce a super healthy and tasty drink. Making dairy kefir at home is actually a simple process, but in the early stages, whilst you get into the swing of things, it’s good to have a step by step guide you can follow. Here are very few equipment requirements for making kefir milk. Most of the equipment is going to be the same as for making water kefir, which I have also created an article for. Basically you are going to need a container for culturing your kefir (ideally with a close fitting lid for storing the completed product, and a simple cover to use during the fermentation process. Watching the video lessons as part of this kefir milk 101 course will give you some great insights into ‘exactly’ what you need to do to create healthy, tasty kefir from scratch. Consider this pdf a quick-start guide to print out and take to the kitchen, or use for additional reference. 1. Milk Kefir Grains - ideally, if possible, get grains that have been cultured in the type of milk you are going to be using. For example, if you are using raw, unpasteurised milk, grains that have been grown in raw milk will remove the ‘adaptation time’ that non-raw milk cultured grains may need to become efficient in their new environment. A lot of people want to know how to make kefir grains. They are not something you can produce from scratch at home, you need some grains to get started. These can be purchased from Amazon from reputable companies, and I'd always advise that. Once you have followed the steps in this article and fermented a few batches of delicious milk kefir, the grains will be multiplying in quantity. You'll never have to buy any again and can give them to your friends to get started. This is not critical, any milk kefir grains will, over a short period of time adapt to their new environment. 2. Milk - Organic or raw, full fat milk - 250ml / 1 cup to start. 3. Glass jars for fermentation and storage like these or food quality glazed ceramic crock. 4. Cloth or muslin to cover (like this one), with elastic band to secure (unless doing a sealed ferment (see videos). 5. Non-metal stirring implement, I like a chopstick. The equipment needs to make kefir at home is pretty limited. In this video I show an assortment of gear that you can use. The crock is a nice to have, you can use it for fermenting sauerkraut, kimchi, beets and a variety of other vegetables too. As you’ll see in the videos, when one purchases live kefir grains, you’ll generally receive around a teaspoon of grains. These will multiply as you continue to use them to make kefir, but to start with, use a cup/250ml of milk for the first 3-4 ferments. This will also provide you with a cup a day of kefir to drink...excellent! Once you start to see a thickening of your end product after 3-4 days, you can increase the milk to a litre or so. I tend to stick with a litre, which lasts me for a couple of days, and have a batch of kefir on the go almost all the time. Expect to see signs of fermentation such as the milk separating in the fermenting jar, a pop of gas release as you remove the lid (if using a sealed lid method, be sure to only 1/2 to 2/3 fill the jar to allow for gas build up), and bubbles appearing in the ferment. The milk will also start to take on a slightly sour taste. The first few days it can taste a little yeasty too, but you get to love the taste of kefir. Be mindful that as the kefir grains increase in volume, they can become too hungry for a single litre of milk. The kefir can become sour and highly visible separation can occur. If this occurs, simply remove some of the grain mass, start another ferment in a second jar, or, as I love to do, use the grains in a kefir, frozen berry, and protein powder smoothie. It’s incredible. Kefir fermentation is an anaerobic process, meaning it occurs without the need for oxygen. Fermenting takes a little long with a cloth or gauze over the jar, but does reduce the risk of an over pressurisation of the jar through gas build up. A sealed jar, filled to no more than 2/3 full will result in a quicker ferment and a thicker kefir milk. This should be your aim as you get more comfortable with the pro- cess. Either work, you choose. 1. Ensure your chosen fermenting jar is clean, and has been washed in soapy water, rinsed, and left to drip dry. You don’t need to wash the fermenting jar every time, once a week works just fine. 2. Take you new grains and rinse in fresh milk, not required each time. Break the grains up if they are clumped together and place into the fermenting jar. 3. Add 1 cup/250ml of your chosen milk, make sure it is full fat. 4. Stir the kefir grains and milk with a non-metal implement, chopstick works great. 5. Place the jar in a warm, dark place. High on a pantry shelf works well, or in a high cupboard. The darkness is required to prevent the damaging of light sensitive vitamins. If you don’t have a cupboard, cover with a thick tea towel or towel. The warmer the environment, the quicker the fermentation will take place. Ambient room temperature is usually fine, but the temperature will affect fermentation times. No problem, a bit cooler just means a bit slower. The process will continue unless you really chill it. A shorter ferment tends to result in a creamier tasting end product. 6. Leave for 18-48 hours, depending on temperature and desired result. Stir from time to time to prevent curdling and separation. 7. Once the fermentation is complete, stir well and pour the finished kefir from the jar into the nylon sieve, placed over a large measure jug or bowl. A jug makes it easier to pour into storage containers. Use the plastic spatula to push the thick kefir through the mesh of the sieve. The grains will be left for your next ferment. Break apart if clumped. 8. Place the grains back into the jar and add a new cup / 250ml of milk. Stir and place back in the warm place. 9. Place the completed kefir into a sealed jar (jars), leaving a couple of inches of space at the top of the jar, and put in the fridge to cool. Drink at one’s leisure. If the kefir seems a little thin, one can help it with a ‘second ferment’ by leaving it out in a warm room for a couple more hours. 10. Repeat this process for the first 4 days after purchasing your new grains, then increase the quantity of milk you use, up to a litre is perfect per ferment. Check out the next three videos, where I demonstrate exactly how to make fermented milk kefir from scratch. 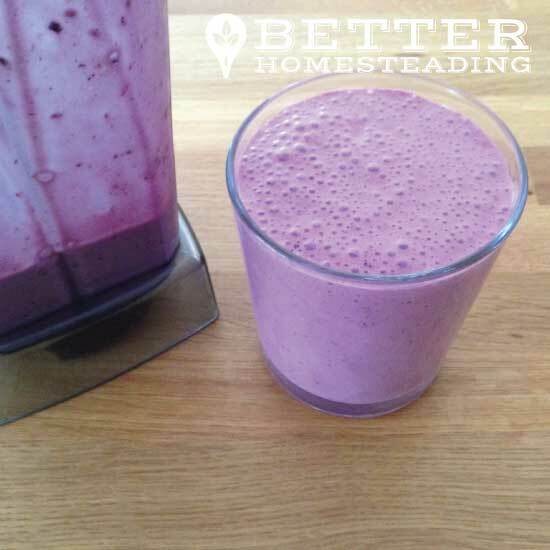 I cover first and second ferments, right to the point where you can drink your finished kefir. Awesome! Hygiene and cleanliness are important when handling and working with foods. Although kefir production is healthy and enjoyable, and we ensure we produce our kefir grains to the highest standards of cleanliness, there is no guarantee that your kefir will remain free of pathogens for- ever, if you do not maintain adequate cleanliness. Kefir is exceptionally healthful, it promotes good gut bacteria in your gut. For many people eating a standard western diet, gut health is an issue that impacts every aspect of their lives. 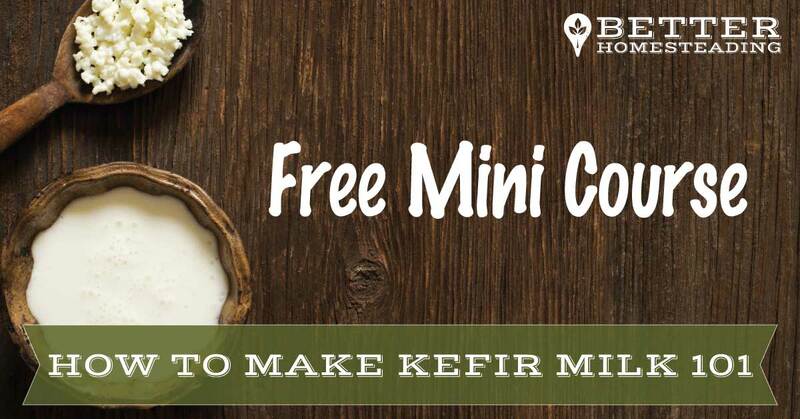 Learning how to make kefir milk at home will change your life for the better. It's incredibly simple and great to drink. I absolutely love adding it to a smoothy with banana and berries, tastes define. Combine this wonderful drink with other fermented foods like sauerkraut or kimchi (ideally made in a fermenting crock) and you're really heading in the direction of awesome nutrition and better health. So, get started, add it to your homesteading skills and you'll never look back! 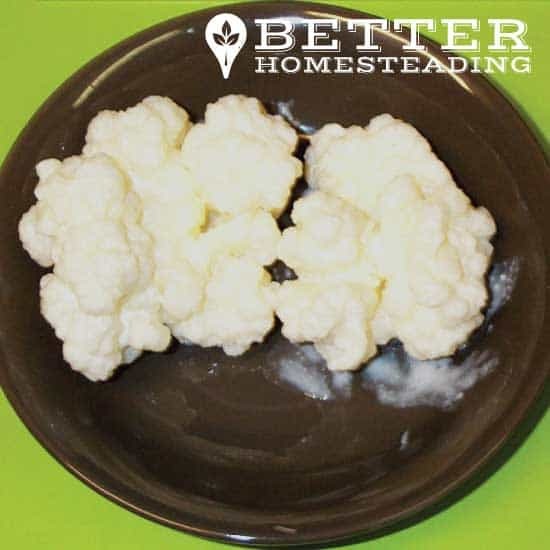 If you like kefir, have experience fermenting foods or some great recipes, leave a comment to share with the Better Homesteading community. Further Reading: How Does Fermentation Work? WebMD: Why Is Kefir Good For Me? This is fantastic Steve, really great to see videos and detailed instructions. I know that so many people recommend low-fat milk these days, it’s never really sat well with me, I always believe that the natural, unprocessed stuff is the best. What do you use? Also, I know you talked about secondary fermenting, but in the past, I’ve struggled to get that extra FIZZ that kefir milk is supposed to have. Any ideas? I use whole, unpasteurized milk at home, we are lucky that there is a local farm shop that can offer this to us. Whole milk is full of fat soluble vitamins that disappear from milk when the fat is removed. Full fat milk is NOT, as the mainstream media would imply, bad for you and going to give you a heart attack. Think about what skimmed milk is? Basically sugar water with no fat, no life, not enzymatic activity. It is just a dead substance. Of course, the pasteurizing process for low fat AND full fat milk kills the enzymes, including Lactase, which actually helps break down the Lactose sugars in the milk. So any pasteurized milk will lack living organisms in it, but full fat is more nutritious that low fat. If you can find raw milk in your area, get it!! You’ll reap HUGE benefits from raw milk kefir, but even just producing kefir with full fat milk will be giving you a lot of nutrition. I had a hard time believing what you said about low fat milk, and the research I did suggests that you have some misstatements: https://foodwatch.com.au/blog/carbs-sugars-and-fibres/item/does-skim-milk-have-more-sugar-than-full-fat-milk.html. This particular article was written by a registered nutritionist. Those of us watching our weight simply cannot drink whole fat milk kefir every day. I’m not quite sure how my article differs from the views of the person in the link you inserted. I certainly didn’t say that low fat / skimmed milk has added sugar or anything like that, but when the fat is removed, you are left with little more than a sugar/water solution (lactose being the natural sugar in milk). The fat in full-fat milk carries fat soluble vitamins which are missing from the fat reduced versions. With milk kefir, the lactose is eaten by the bacteria, so you end up with a very low sugar level in the finished product. I’m a big fan of raw whole milk, the processing and pasteurization does nothing to preserve the healthy aspects of the raw product, so whether you drink skimmed or whole, the pasteurized product is basically dead, no healthy enzymes, all gone. On the caloric front, which I think is your main concern, I really don’t think that a glass of whole vs skimmed milk kefir each day is going to make much difference to your waistline, the benefits of the whole product likely outweigh the negatives. And this whole argument is also dependent on whether you believe that the low-fat diet paradigm that has been around since the 1970’s (Look into the McGovern Report) has actually done anything other than increased our propensity to obesity, and potentially contributed to the poor health and.or early deaths of millions. So, thanks for the comment, I don’t think my article has any misstatements that I can’t back up with valid arguments and scientific studies. Please feel free to comment with any specific information you might want. I’m somewhat new to the Kefir world. I’ve only been drinking this product for a couple of months or so, but I wanted to tell my story. I was diagnosed with Celiac disease about 10 years ago, but only started to actually follow the diet around 3 years ago because the thought of giving up all of those yummy foods was depressing. After changing my eating habits I noticed that almost all of my symptoms disappeared. The last one was my rumbly gut/chronic diarrhea (sorry for the gross stuff, but its relevant). I couldn’t figure out the last piece of the gut puzzle until someone mentioned how much Kefir had helped their intestinal problems and overall health. It really has solved this last issue. My gut is so happy now. I haven’t had any intestinal problems for a few weeks and I’m feeling so much better. Of course, now I have a new problem. Kefir from the store is by no means cheap. I did a lot of searching and reading about how to make my own Kefir. I finally made the leap yesterday and bought my first grains and the jars, etc to begin making my own. 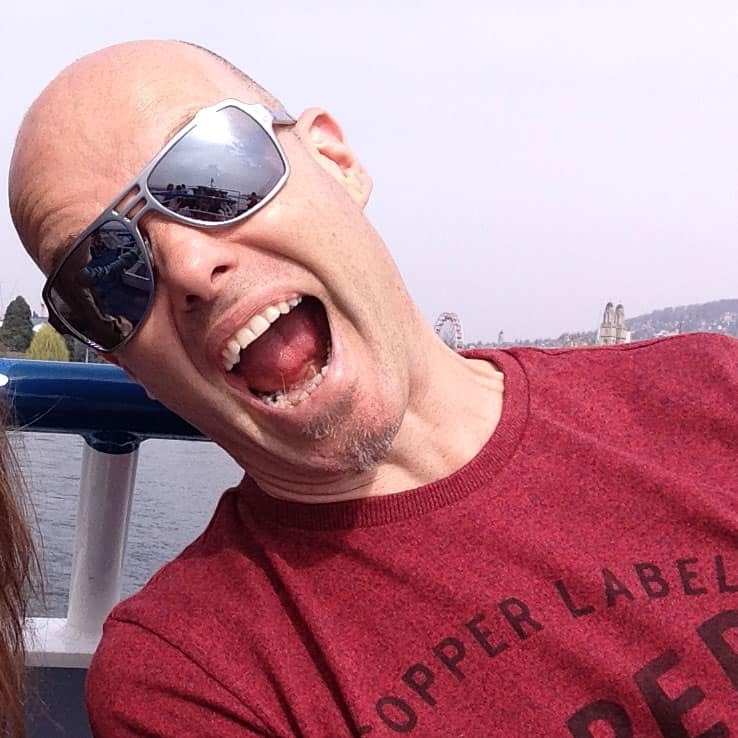 I love your site and the videos walking me through the process and the Do’s & Don’ts. Your advice on which milk to use is greatly appreciated. My husband and I have been using skim milk for years to cut out the fat, but after listening to your videos and discussing it with my mother (nurse practitioner), my stepmother (nutritionist), my cousins (pharmacist & personal trainer), I’ve decided to go back to whole organic milk. I don’t know of any place close that sells raw milk, unfortunately. So, thanks for the site, videos, and suggestions. I can’t say enough good things about Kefir!!! Thanks for taking the time to leave such a detailed and thoughtful comment. Good luck with making your own kefir, it’s a wonderful thing to do. I’d also look at sauerkraut and kimchi, those are excellent additions to the diet for some improved bacterial quantity and diversity, and you can make it once, store it and eat it for month after month.